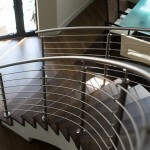 A homeowner in sunny Miami, Florida was looking to modernize their curved staircase. 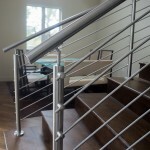 With the help of Bella Stairs, they received a new modern railings design that completely transformed this space. 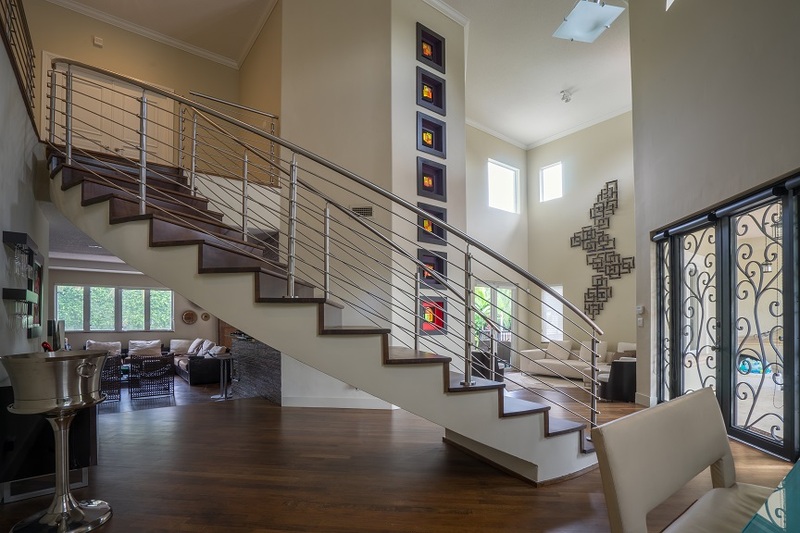 We came up with a design that would transform this staircase to a focal point in this home. 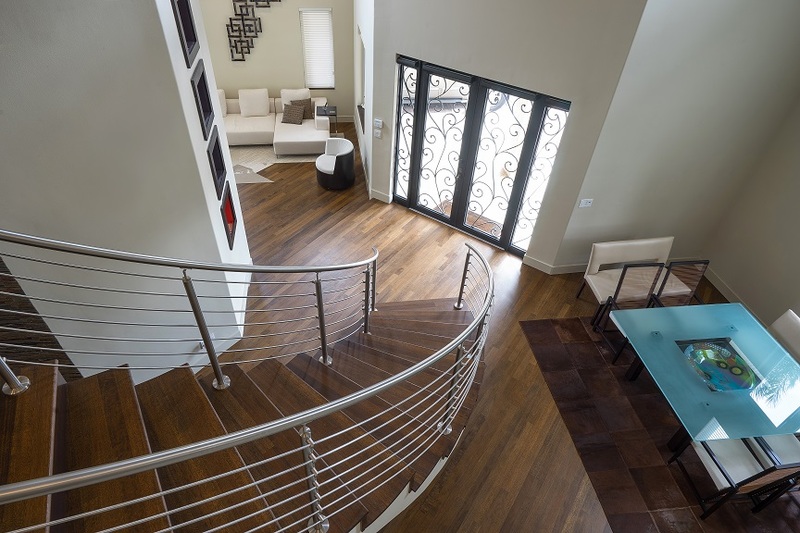 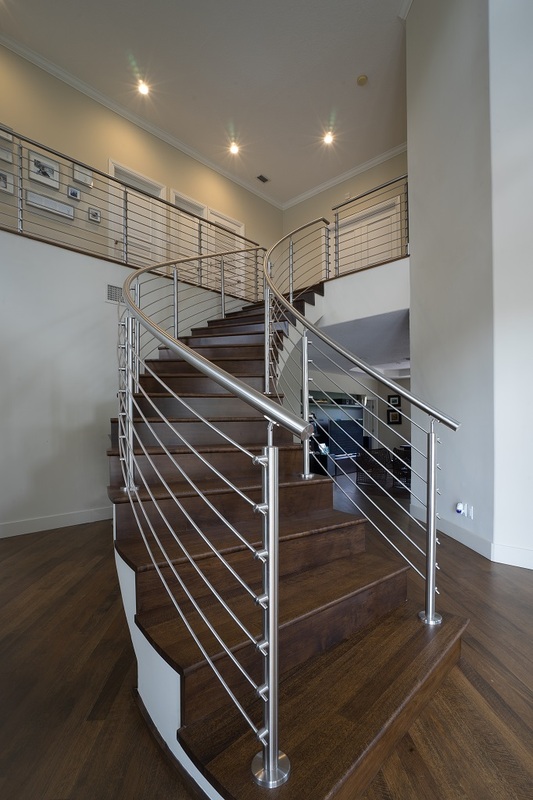 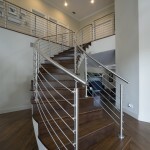 Our design features a curved stainless steel rod railings system that opens up the space to much more natural light. 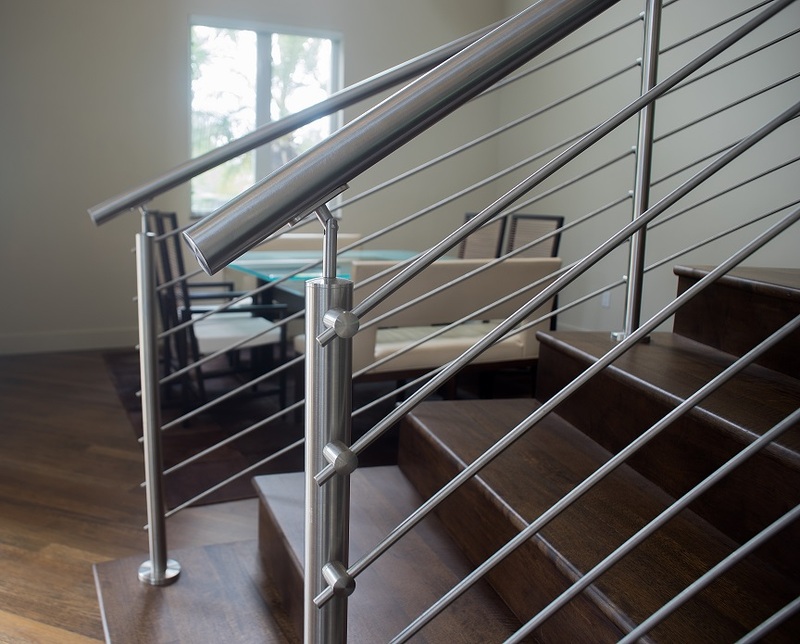 The stainless steel rod railings were top mounted directly to the stair treads, which continued onto the second floor guardrails. 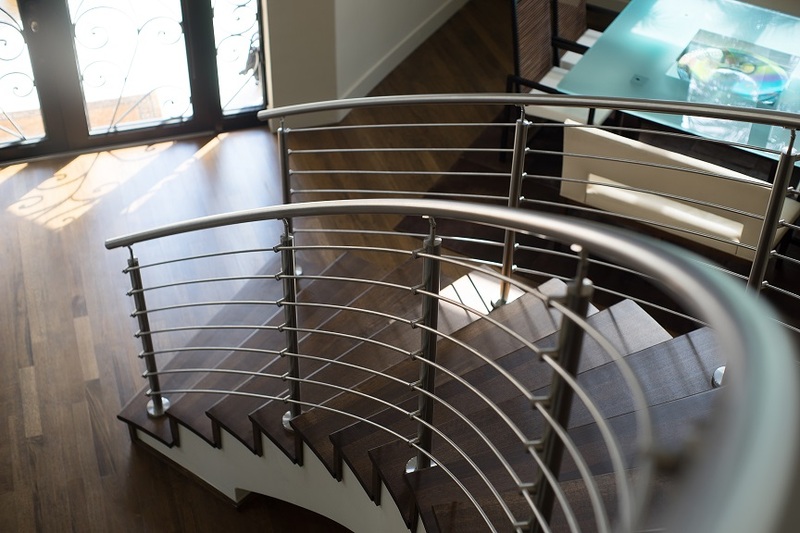 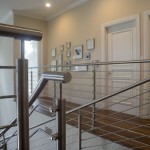 A curved stainless steel handrail was also top mounted to the railings on each side of the staircase, as well as, on the second floor guardrail. 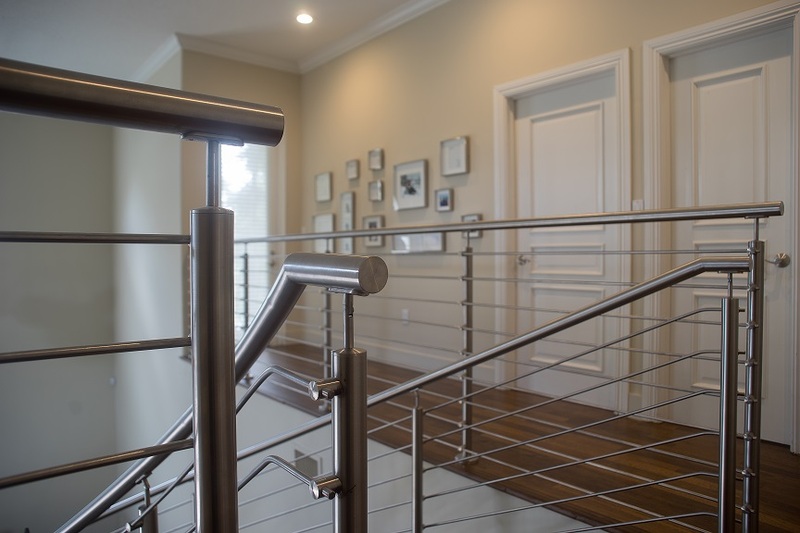 The stainless steel elements were chosen to come in a brushed finish, tying in nicely with the rest of the homeowner’s style and decor.